One example of representation T.V. probably Community. I am going to finding an example of a representation in T.V. I have chosen the show Community. For anyone that does not watch Community, it is a show centred around a mismatched study group going through their community college life. 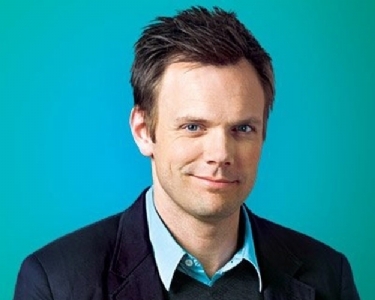 I am going to focusing on the character of Jeff Winger in Community. Jeff Winger is a hot-shot lawyer who got caught for having a fraudulent bar exam and as a result of this he is forced to go back to Community College to get the credit to earn a legitimate degree in order to continue practising law. He is very well groomed, always wears tidy clothes, is very cynical of everyone else and is generally a slick character. His actions in the first episode also give us the impression that he is a hot-shot lawyer, he starts a study group, manipulating a group of people in order to impress a girl. Almost to prove that he was a successful lawyer, his manipulation skills come out in almost every episode, with him having some sort of speech which eventually makes sure he gets his own way in the end. However, over the course of the series, we get to see more of Jeff and eventually see that he does care for things other than himself, although he still manipulates people, he does it for a better cause rather than his own personal gain. Jeff’s appearance also changes over the course of the series, by the end he is still wearing tidy clothes, however has grown out a small beard by the end, indicating to the audience that he is more relaxed about his appearance. Troy Barnes is at first presented to the audience as a stereotypical jock, slow, only cares about American football and is more interested in status than grades. We see this by the varsity jacket he wears in the first few episodes. Another way that this stereotype is presented to us is that he mentions in the very first episode that he is someone that only cares about his status, responding to an insult with “well this boy was a quarterback and prom king”. This indicates to the audience that Troy evaluates his successes at high school as very important things. Also some of dialogue in the first few episodes indicates that he is of lower intelligence “. However, as the season progresses, we see Troy change from a self-absorbed jock, to quite a nerdy, goofy character. This progression is shown through Troy’s intimate friendship with Abed. Troy and Abed’s relationship is first show in the second episode “Spanish 101”, with the end tag being the duo rapping in Spanish. From there Troy transforms from a mean-spirited jock to a goofy childish young adult.